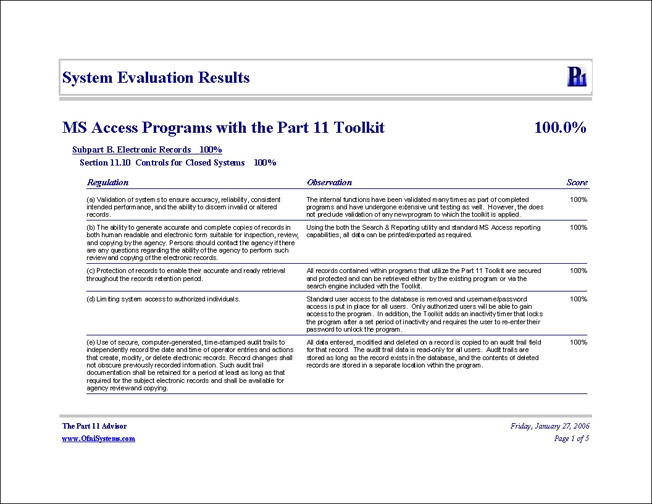 Part 11 Advisor facilitates your evaluation of systems for Part 11 compliance. Information is entered for each system, which allows Part 11 Advisor to create schedules for review. Part 11 Advisor maintains a list of all systems to review or evaluate and allows users to enter summary information about each system before or during the actual assessment.